The lovely destination of Purulia is a district and a city in West Bengal. It can be reached easily either by bus or by train from any of the key cities of the region, including Kolkata, Asansol, Jamshedpur and Bokaro. Purulia boasts of several tourist places -- most of which happen to be natural wonders of the highest order. Purulia also abounds with numerous religious and cultural spots. It also abounds with spots wherein you can have unlimited fun and kick up your heels. The spot is also a great place for the adventure lovers, and offers mountaineering and rock climbing options. In fact, Purulia has everything which makes it a perfect place for spending a few days of one’s holidays in serene and sylvan surroundings. Picturesquely set on the Dalma Hills, in Purulia, Ayodhya Hills (2000 ft) is a wonderful destination to visit and have a great time. Mythology has it that one his way to Dandak, Lord Ramchandra and his consort Goddess Sita passed through the Ayodhya Hills. Thick and deep forests, waterfalls (Bamni & Turga) and streams are the chief characteristics of the lovely Ayodhya Hills. It’s also a wildlife haven of sorts and populated with numerous wild animals, including cheetah, deer, elephant, bear and reptiles like python. Tribal villages surround these hills. On the night of Baisakhi Poornima, hunting expeditions are carried out in the forest by the local tribes. 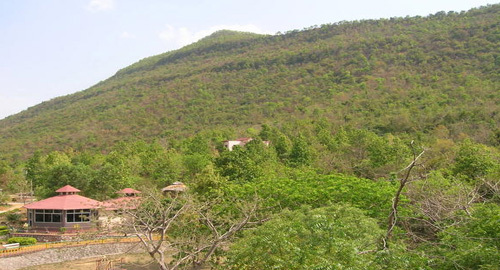 It is a city and a municipality in Purulia and nearby the state of Jharkhand (9 km from Muri (Jharkhand)). Surrounded with small hillocks -- such as Shikra, Bansa, Kopla, Silphor -- the enchanting tourist destination of Jhalda boasts of several attractions, including Murguma, Norahara and Kanrior. Much famed Chhau dance masks, Bagmundi, also spelt Baghmundi, is a town in Purulia, located about 10 kilometres (6 mi) from the Ayodhya Hills. Chhau dance is popular in the area. All the characters in the dance wear masks and hence are unable to express the moods with facial expressions; but, they more than make for it by their excellent body movements. Bagmundi has a Ramayna connection. Mythology has it that Lord Rama and Goddess Sita had turned up at the Ayodhya Hills and stayed during their period of exile. As Sita was thirsty and sought water, Lord Ram pierced an arrow through the Earth's soil crust and through that water came out. Sita quenched her thirst. The place where it took place is famous as Sita-kunda. Every year, during the full moon day in Baisakh, tribals of nearby regions come and hunt wild animals. Other attraction of Bagmundi is the Radha Govinda Temple which dates back to 1733. Murguma, yet another attraction of Purulia, is a perfect getaway of sorts for spending a few days one’s family vacations amidst scenic and inviting natural beauty, thick vegetation, lovely weather, dancing rivulets, unspoiled landscapes and ancient tribal villages.